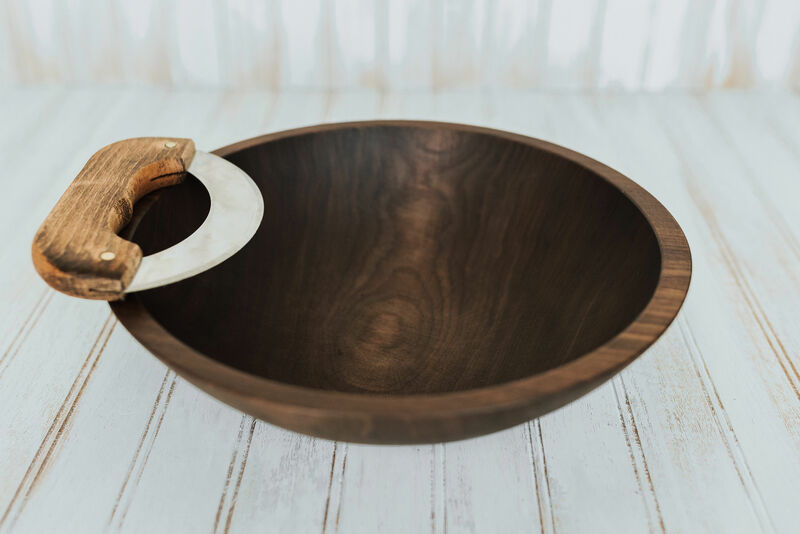 This Bee’s Oil finished chopping bowl set comes with a 12-inch Walnut Chopping Bowl and Dark Mezzaluna Knife. 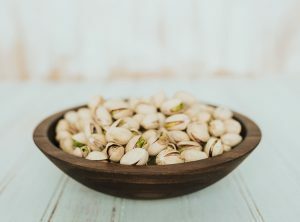 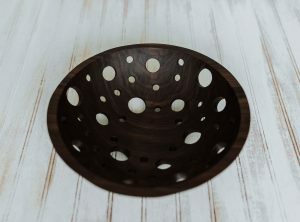 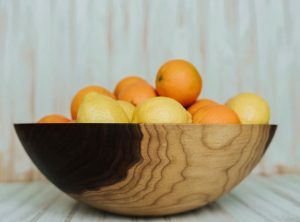 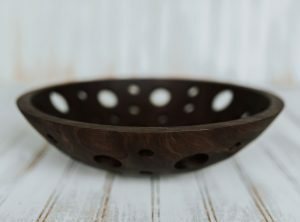 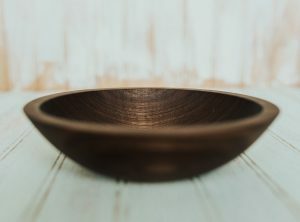 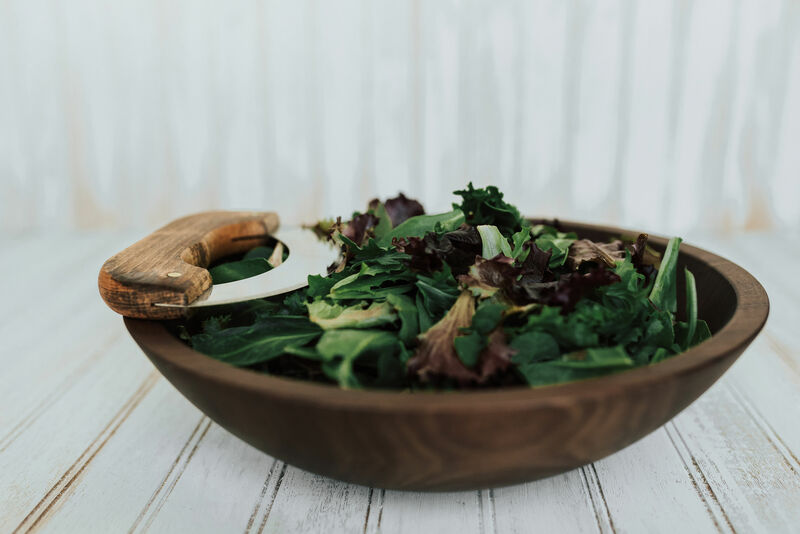 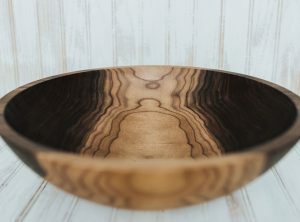 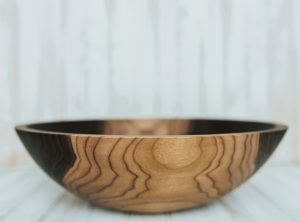 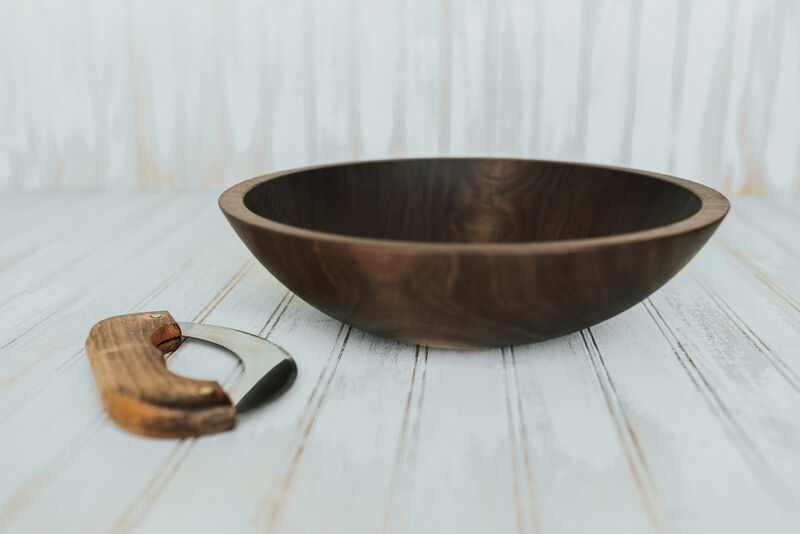 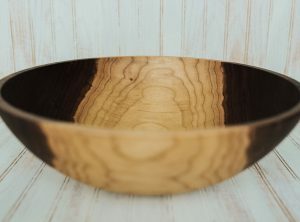 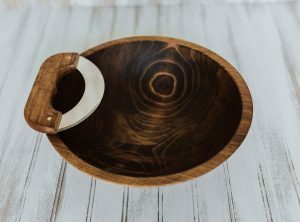 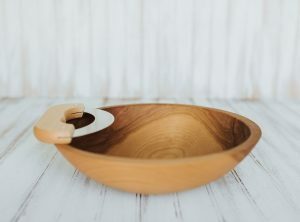 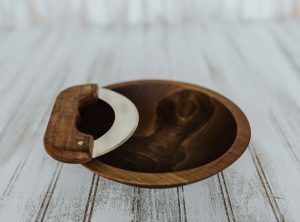 This beautiful solid Walnut bowl was turned by the craftsmen at the Holland Bowl Mill, which is one of the last commercial wooden bowl mills in the United States. 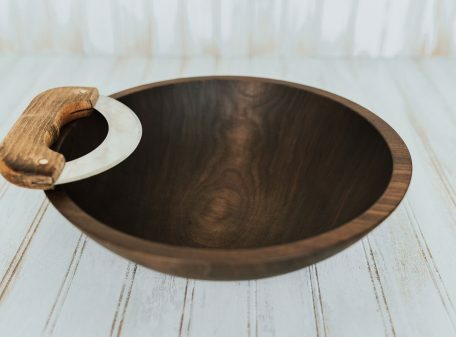 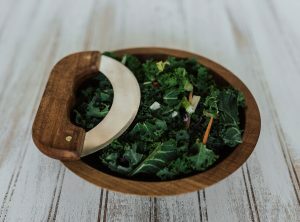 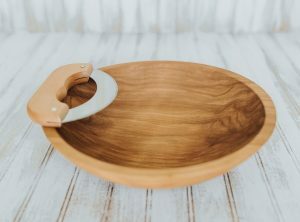 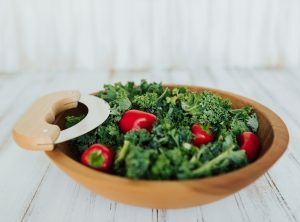 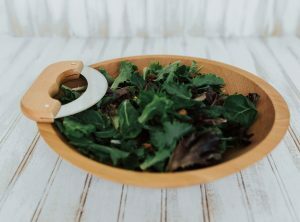 Bee’s Oil finished chopping bowl set comes with a 12-inch Walnut Chopping Bowl and Dark Mezzaluna Knife.